*OVER* FREE Scary Face Pancake at IHOP! Today Only, October 30th, bring the kids into IHOP and kids 12 & under will get a FREE Scary Face Pancake! 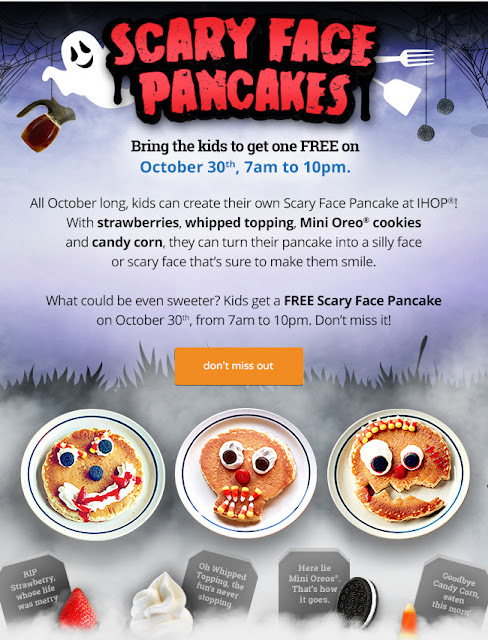 *All kids 12 & under get a Scary Face Pancake between 7am and 10pm Friday, October 30th at participating locations. One per child. Dine in only. See store for complete details.